On October 22, 2012, 61-year-old Satyavathi Venna was found stabbed to death in her apartment just outside Philadelphia. Three days later, the body of her 10-month old granddaughter, Saanvi, was found in a bag in the steam room of the apartment complex gym. On October 25, Raghunandan Yandamuri, 29, an information technology worker who knew the Venna family and lived in the same building, was arrested in connection with the murders. Two days before the crime, Yandamuri and his wife had attended a party at the Venna family apartment. They had met Chenchu and Venkata Venna, Saanvi’s parents, who mentioned that, since they both work during the day, their daughter would be staying with her grandmother. Yandamuri held the baby during the party and discussed the gold jewelry she was wearing. 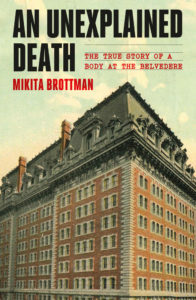 On October 26, he was interrogated by police for several hours, and eventually confessed to the murders. Yandamuri says he went to the family’s apartment with the intention of kidnapping Saanvi for a $50,000 ransom, since he believed the family to be wealthy. He fatally stabbed 61-year-old Satyavathi Venna when she confronted him. He claims that he didn’t intend to kill the grandmother, but when he had Saanvi in his arms, Satyavathi lunged at him and he fell backward, cutting her throat with his knife. Yandamuri says he planned on taking good care of the baby, but also on holding her until her parents paid him. 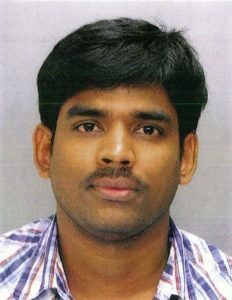 On October 8, 2014, Yandamuri was found guilty of the murders, and sentenced to death. However, on February 13, 2015, Pennsylvania Governor Tom Wolf announced a moratorium on executions in the state. This was written by Mikita. Posted on at 9:41 am. Filed under . Bookmark the permalink. Follow comments here with the RSS feed. Both comments and trackbacks are currently closed.